Papertrey ink is having their annual Stamp a Faire and I made a card after looking at Yana´s great tutorial on how to make heat embossed paper look like iron. Here is my version and I used the Cloche Quarters from Papertrey ink. I did an inlaid die-cut technique like Yana but I only used two colors of papers. Today I have created a card for Papertrey Ink's challenge called Create a long with us. That means that we should find inspire by the teams projects. I found inspiration in this card made by Lizzie Jones for making my card. So here comes my card. I loved the look of the stamped images on kraft cs and the papers overlapping the craft cs. Today I am back again with a card for the Make It Monday Challenge over at Papertrey Ink. 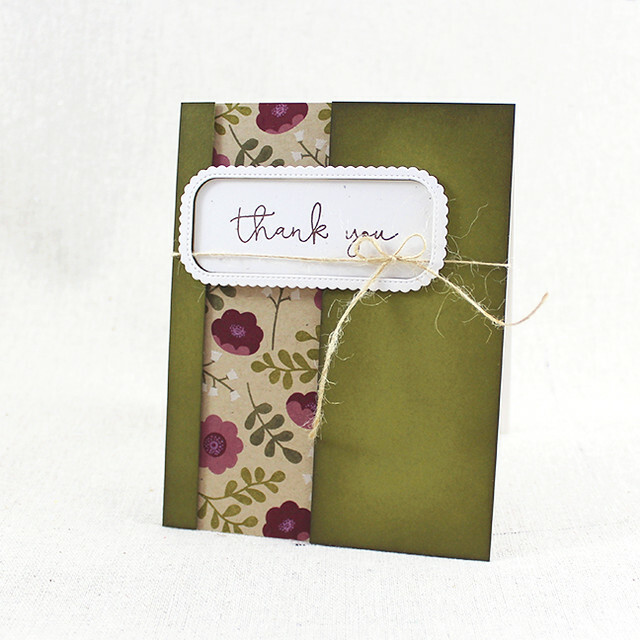 This week the challenge is to use sentiments for background stamping. I decided to emboss my sentiments and do last week challenge ,watercolor wash, over the sentiments so they would be visible. Today I made a card for the Make It Monday Challenge #283 over at Papertrey ink. This time the challenge was to make watercolor washes as backgrounds. I used my new set called Swan'sational from Papertrey ink with combining dies. I used my new watercolors from Kuretake Gansai ( they not really new but it was the first time I used them) and they where so wonderful. So full of color and they blended so beautiful. I stamped the imagages by coloring the stamp with a distress pen and sprayed it with water before I stamped. I forgot to make little splashes of colors all over. I rembered after gluing down the swans and didn't want to ruin the whole card so I skipped it. Skissvecka hos En Liten Butik. Idag börjar en skissvecka hos En Liten Butik, och det betyder att vi ritat våra egna skisser som vi sen tolkat. Jag är först ut och gjorde ett kort efter min skiss. För mer info gå till En Liten Butiks blogg. Just wanted to show you a card I made this summer for my mother in law who loves the sea. In Sweden it's really hot now at least where I live. But I managed to make a bookcard in the heat for En Liten Butik that is up today. I used this Swedish tutorial when I made the card, but if you search for bookcard in English there are plenty tutorials out there. This card is a bit smaller then the bookcard I have done earlier. Here is some pictures, you can find more at En Liten Butik's blog. Om du vill beställa kort eller vill fråga mig nåt annat kan du kontakta mig på am_cecilia@yahoo.se.